This flavor is immense and infused dark and rich chocolate flavoring. 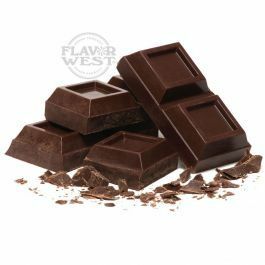 Chocolate flavor is an excellent, aromatic cocoa flavor that enhances the taste of cookies, chocolate cakes, drinks and more. Type: Dark Chocolate Water Soluble Flavoring. Ingredients: Natural and Artificial Flavoring, Propylene Glycol. USP Kosher Grade Flavoring. Usage Rate: 15-20% for E-use. Flavor suitability: Suitable cakes, yogurt, ice cream, pudding, coffee, tea, cream, and much more. Specific Gravity: 1.04 No Refunds on Flavoring.